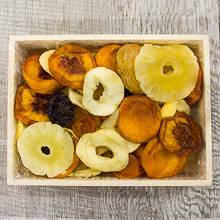 Apart these dried fruits are delicious, together they’re an exquisite treat! Packaged in a 28 oz. crate.